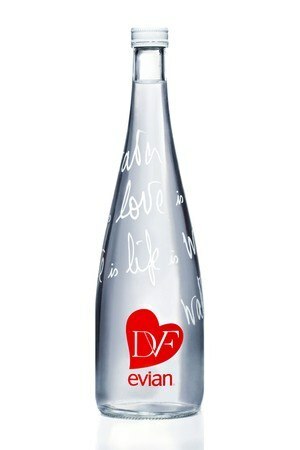 One of my favorite designers who truly knows how to flatter a woman’s body is Diane von Furstenberg who has now used her talents to “dress” a limited edition bottle for Evian water. Bottle shapes can be similar to women’s bodies, and I must say her clear and simple design for the 750ml bottle truly makes it beautiful. Bottles will be available November 5th on the Evian website and will be a very chic accessory to refill and carry to work.